Trevor Noah is just like you and me and every damn person you know — he&apos;s obsessed with Pokémon Go. Can you Diglett? A woman posted on Reddit late Monday that she stumbled upon Noah on a park bench near Riverside Park on a search for lures. 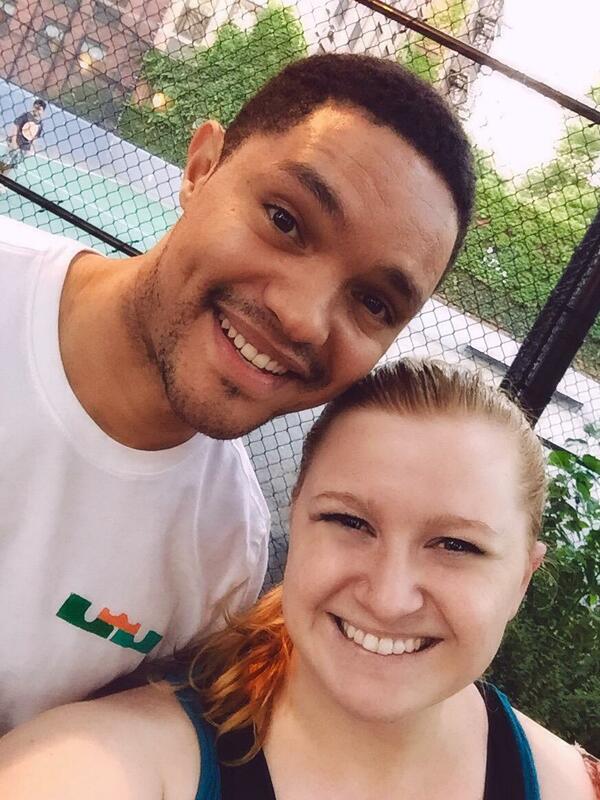 "While searching for a nearby Pidgey, I looked to my left and sitting on the other side of the bench is Trevor Noah, swiping for Pokémon on his iPad," Reddit user thestarsarewaiting wrote. "He looks at me, looks at my phone, and goes, &apos;You know there&apos;s a Scyther right over there.&apos;"
The redditor noted that Noah set two lures near the Hudson River "so he could catch &apos;em all on his break." She also noted that he was likely above her level 17. Damn, Noah — what team are you on?